Vapour Bar Exchange - stock exchange of beer, fusion food and frolic - CHOMP! SLURRP! BURP! Vapour bar exchange started the most unique concept by infusing the stock exchange with booze and food prices. The prices of drinks vary with demand, making a drink available for as less as 20 bucks. The market is carefully monitored and crashes to a minimum low to keep the drama alive. After a successful run in Mumbai and Gurgaon, they are rising across the city like their stocks. 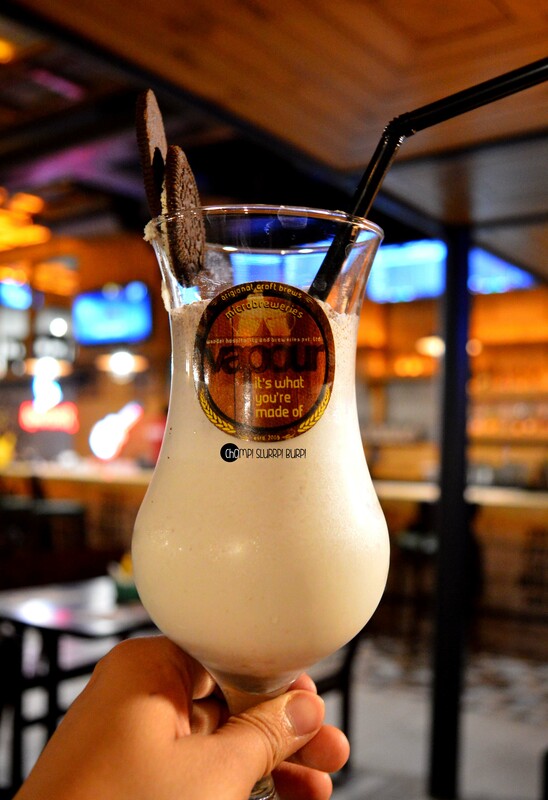 Located at Global Foyer Mall, the bull welcomes you with a huge bar, multi-level seating area, plush leather couches and retro American frames. We started with Tangerine mojito followed by a few vodka based cocktails with a desi twist. The mojito was exemplary, the cocktails though could need a little but of working. Their beer was work in progress when we visited but you can enjoy all six fresh brew flavors soon over here. Also got my hands on their oreo cookie shake, which was rather splendid. 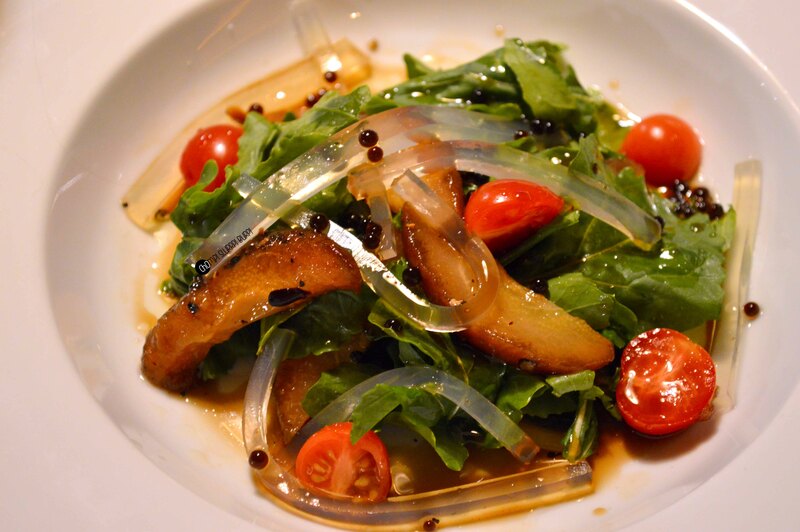 We started our meal with poached pear, pepper gelatin and beer reduction salad with rocket leaves and cherry tomatoes balancing the sweetness. 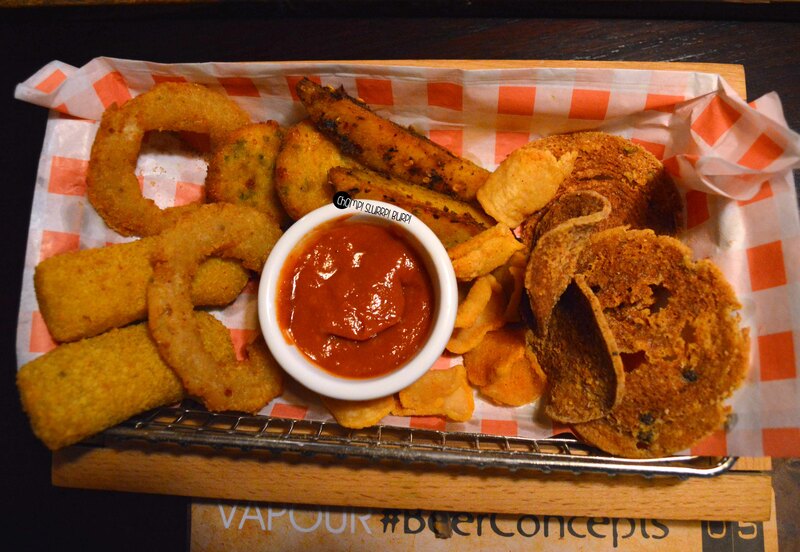 Vapour fries – onion rings, cheese popper, crispy fried salami and chicken nuggets served with fresh tomato ketchup. The crunchy, fried salamis were absolutely novel, crispy and meaty. The platter makes for an amazing bar bite. Panko fried prawns and vegetable tempura. Served with a bunch of greens and tossed in a sweet sticky sauce, the prawns were super fresh, crunchy and very well done. The vegetable batch was nothing special however. Eat the prawns while they are still piping hot to make the most of them. Mini kulchas with matra – a specially designed dish for summers. 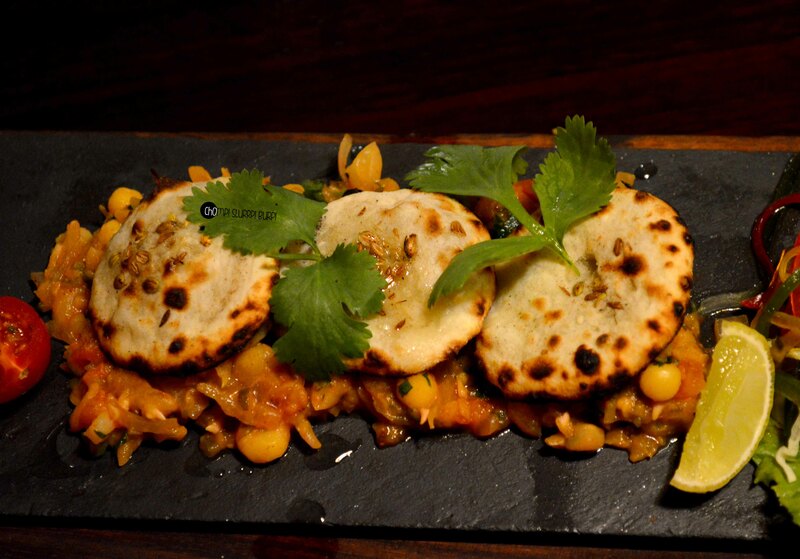 Three charming mini kulchas served on matra with chopped onions. Kulchas were soft and topped with sprinkles of butter but the matra could have used a little more masala. 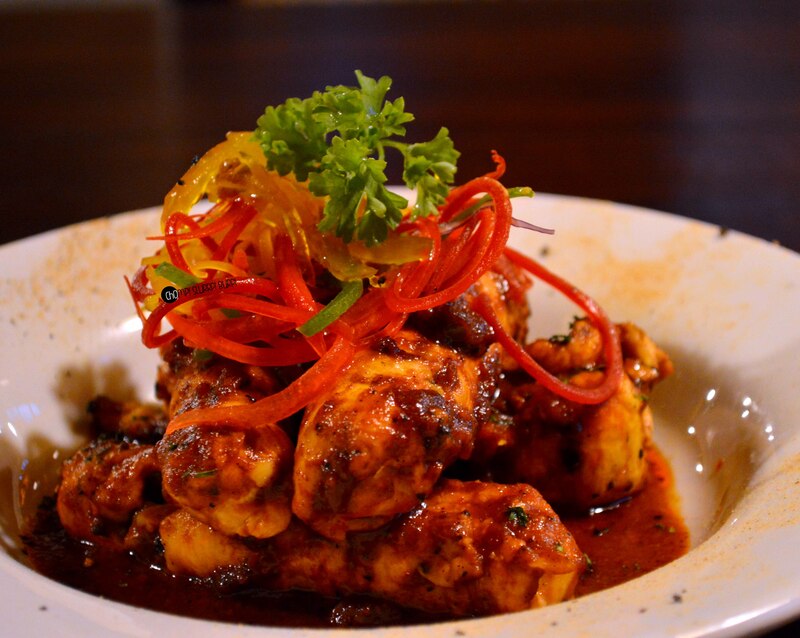 Chicken 65 – the Chennai delicacy. 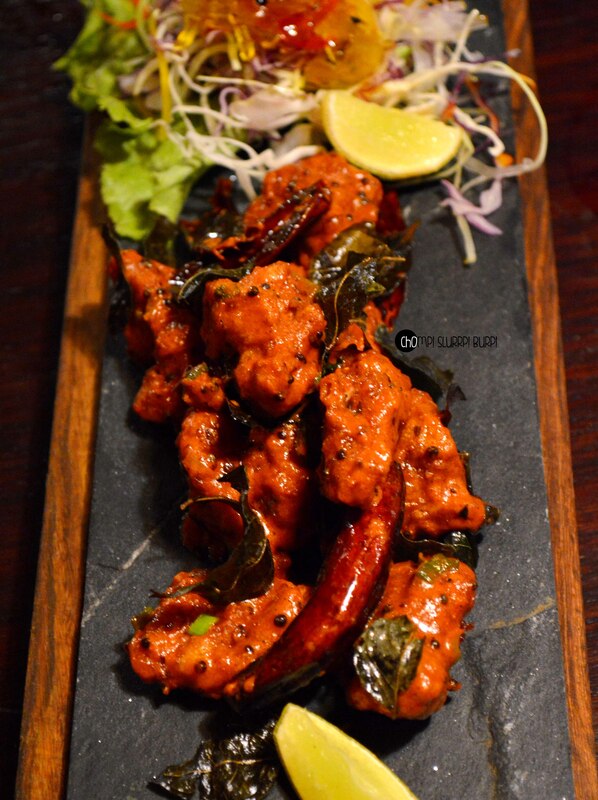 Chicken morsels marinated and tossed with red chillies and curry leaves. The chicken was succulent and very toothsome. 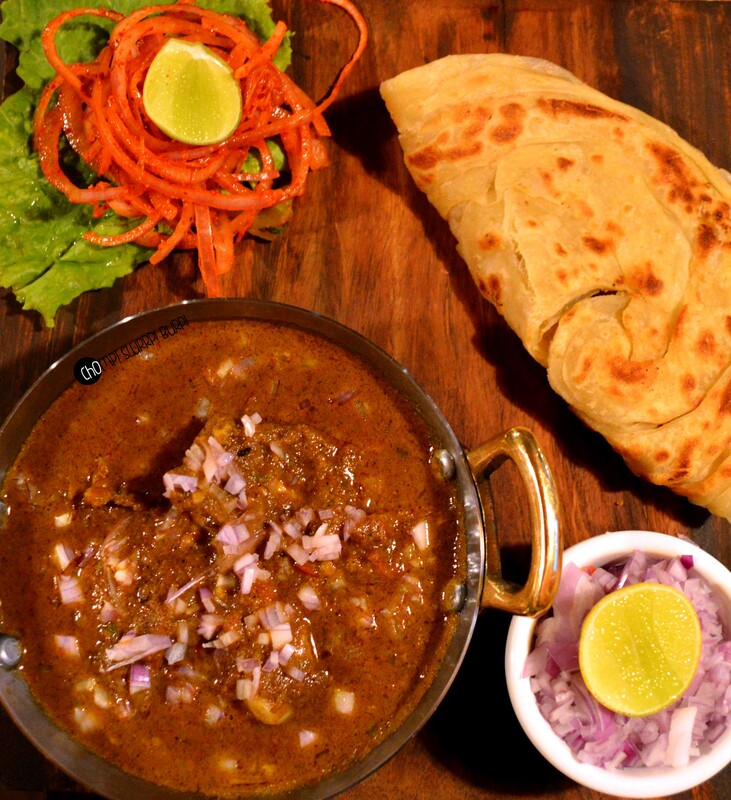 Mutton galauti kebab served with warqi parantha. 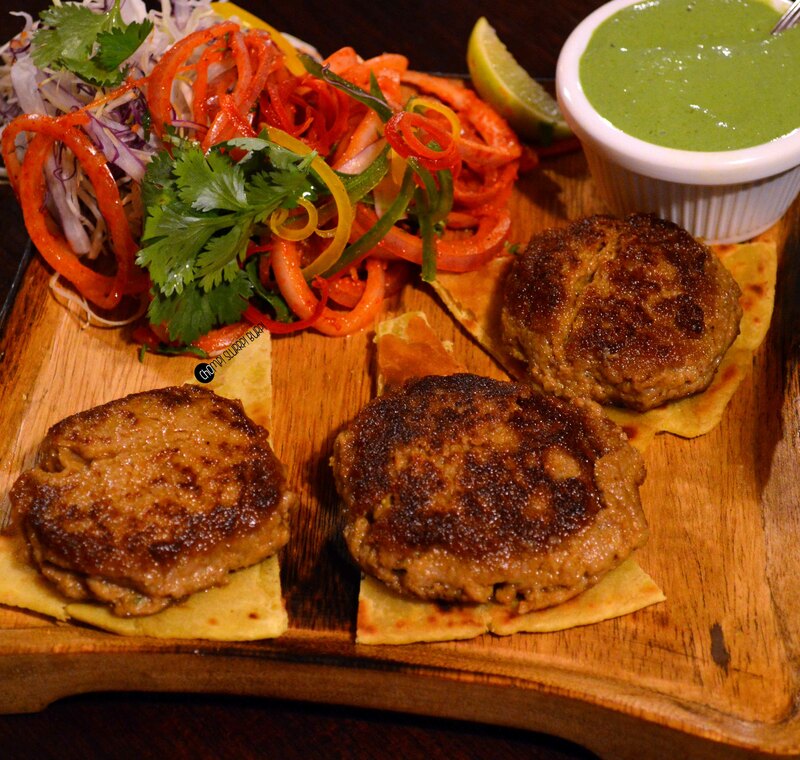 Minced mutton kebabs served with a piece of warqi parantha each and mint chutney. The mutton was a tad too fatty but otherwise done well with raw papaya. Deconstructed samosa chaat – crunchy fried samosa crumbled to bits topped with sev, papdi and mint chutney with curdled yogurt. A slight sweet tinge with a cool yogurt, curdled thanks to molecular gastronomy which pops in to your mouth bursting into a million flavors. 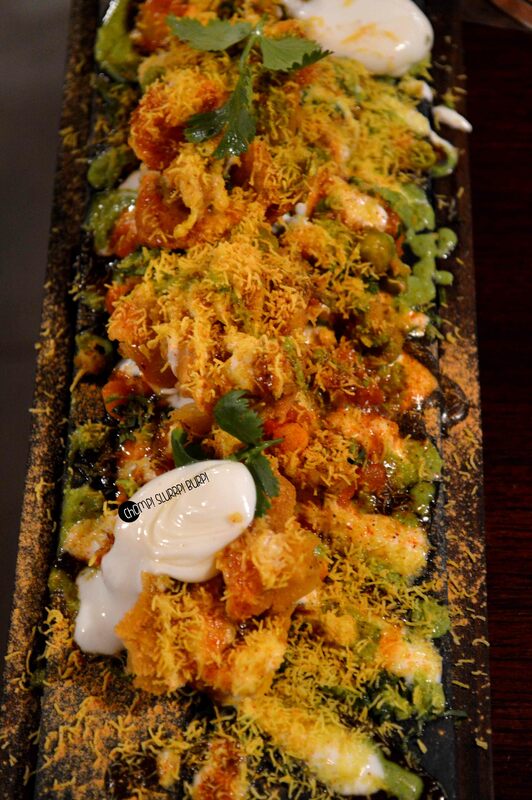 The samosa chaat just cannot be missed. 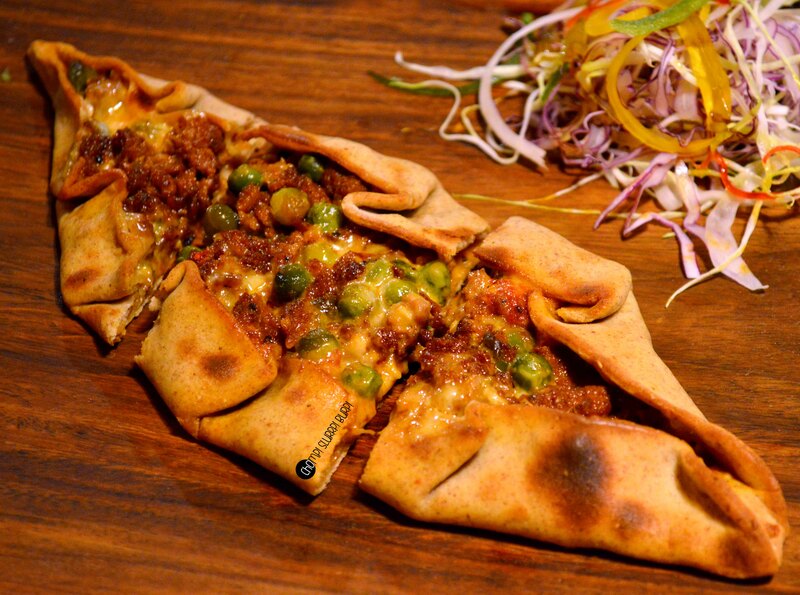 Mutton keema pied – much like a Turkish Pizza, the soft, buttery crust, well baked topped with toothsome mutton keema, peas and cheese. A very interesting fusion, the meticulously baked bread was amazing and the flavorsome keema was perfect. They could turn down the addition of peas a little bit but otherwise , fabulous. Chicken steak stuffed with juicy cheese and peri peri sauce – the super juicy chicken steak, cut through the rolled up chicken and you are in for a juicy, luscious and cheesy affair. The per peri sauce adds the palatable full bodied flavours. 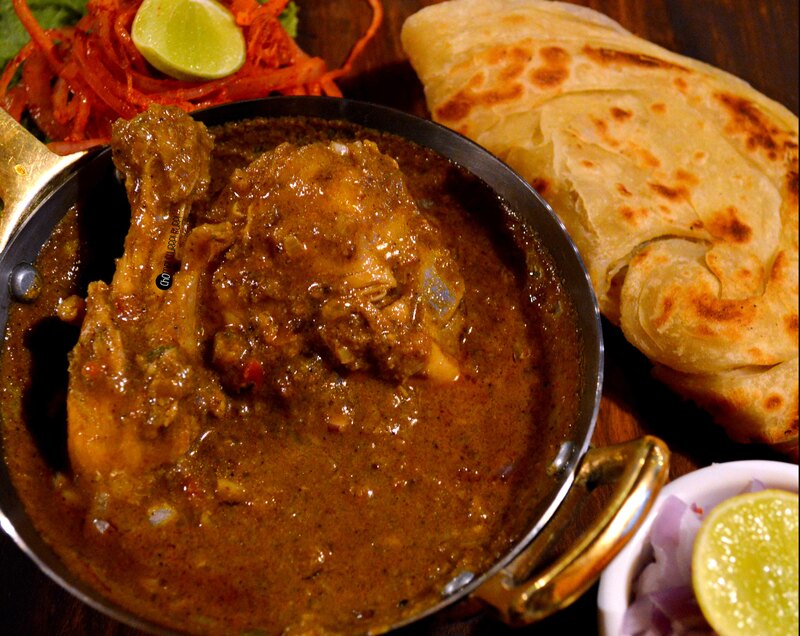 Chicken Xacuti with Malabari parantha – a Goan delicacy with well done juicy chicken, spices from down South slow cooked with coconut milk and grated coconut. Served with a flaky Malabari parantha, this appetizing combo was a refreshing refrain from our beloved (and a tad overdone or maybe not) butter chicken. 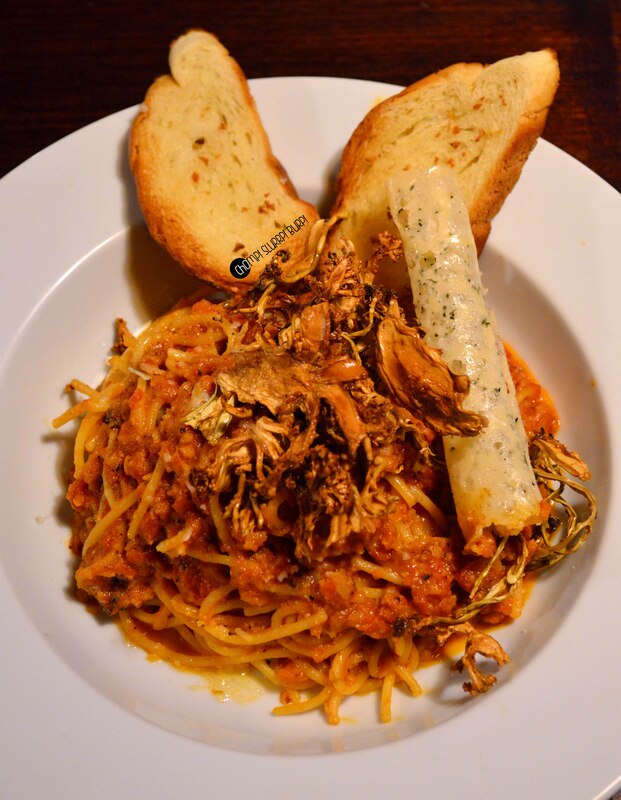 Cauliflower bolognaisse served with garlic bread – a die hard fan of lamb bolognaisse, the sole thought of even chicken bolognaisse is beyond me. But the Chef had me at this dish. Spaghetti done al dente, tossed with a sapid sauce and bits of crunchy cauliflower topped with a parmesan crispy and cauliflower crunchies. The pasta was absolutely novel and kickass. 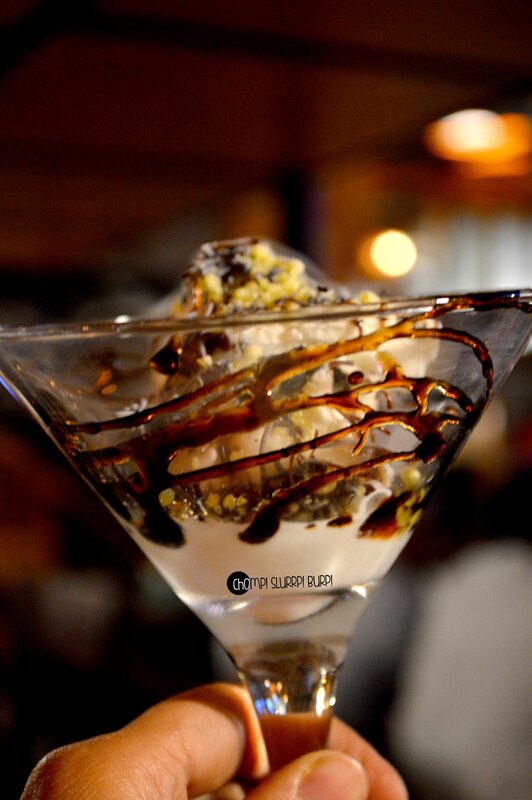 Desserts – garlic kheer topped with dried rose petals making it a mystical affair and ice cream with a caramelized sugar work and topped with chocolate and nutty bits of nitrogen caviar. 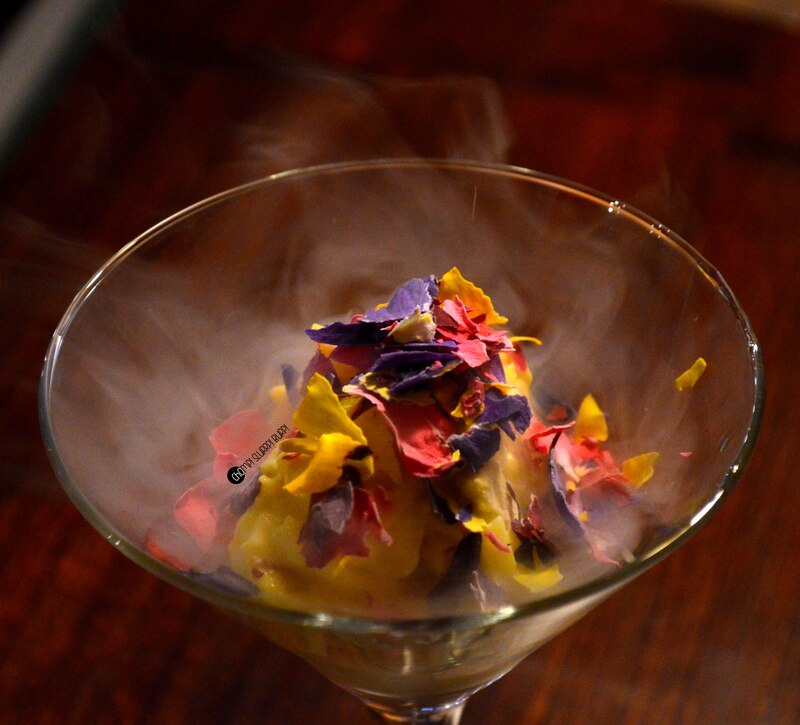 Vapour Bar has always been a lure for great booze deals but this new outlet charms with their amazing food selection, dabs with molecular gastronomy and innumerable new additions to the menu.